And not just anybody: Per a photo Favreau posted on Instagram this week, Waititi will apparently be lending his voice to fan favorite murder-droid IG-88, a.k.a. the coolest-looking of all the bounty hunters that Darth Vader hires to try to track down Han Solo in The Empire Strikes Back. (Take that, Bossk! Ya burnt!) 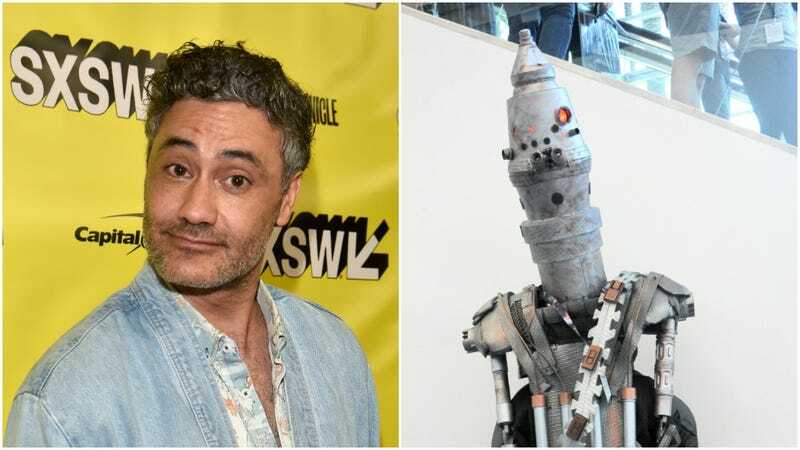 Waititi, of course, is no stranger to voicing break-out characters in blockbuster science-fiction properties, having already made cheerful rock man Korg one of the best parts of his own Thor: Ragnarok. There’s still no official release date for The Mandalorian, which is expected to be a big part of the early push for Disney’s new Disney+ streaming service. (September 2019 is the current closest guess.) The show stars Pedro Pascal as the titular space mercenary, taking a tour of the seedier side of that galaxy what’s so long and far away.